To kick off the New Year, we’re running a series showcasing the skincare products top health and beauty experts are buying at Sephora. Each week, we’re sending one of our favorite gurus to their local store to document their entire shopping spree on Byrdie’s Snapchat. Make sure to tune in each Saturday to follow along, and check back here monthly to see (and shop!) the items that made it into their Sephora carts. Enjoy. Hooray! You've officially left your 20s behind, and things are looking up. You're more established in your career, and you're feeling more confident in who you are and what you want. This extends to the beauty front as well: Through trial and error, you've figured out what works for you, and you've developed a skincare routine that addresses your skin's needs (goodbye, harsh, drying ingredients and going to bed without washing off your makeup). So what's next? 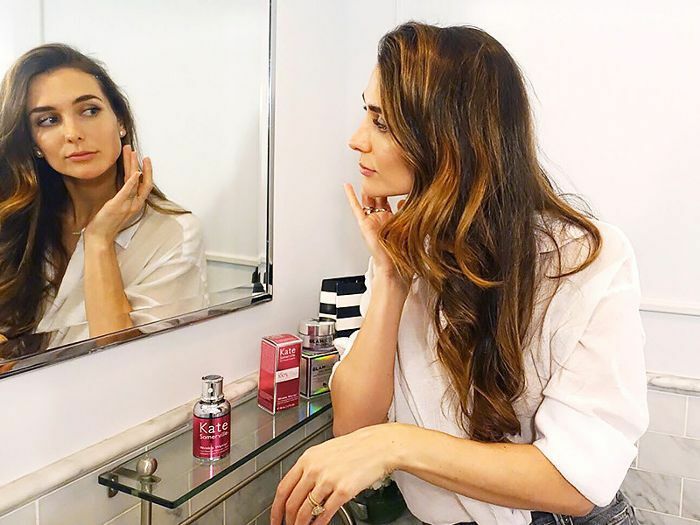 Luckily entering your 30s doesn't mean starting over from scratch or making any dramatic overhauls; now's the time to tweak your beauty arsenal and incorporate products that will keep your skin looking and feeling its healthiest for decades to come. Model and health and wellness coach Melissa Wood-Tepperberg can relate, and she doesn't take skin health lightly. "My wellness philosophy is very similar to my skincare routine," says the New York–based yoga instructor. "I take very good care of my body, and I try to do the same with my skin, especially now that I'm in my 30s." Last Saturday, we got a chance to see firsthand which skincare products Wood-Tepperberg recommends when we accompanied her to her local Sephora to do some shopping (and we documented the whole thing on our Snapchat). Missed last week's Snapchat story or just curious about the changes Wood-Tepperberg has seen in her skin since she left her 20s? Keep scrolling to get the scoop and see what made it into her Sephora cart. Wood-Tepperberg's life has changed a lot over the past few years, between entering her 30s, getting married, and having a baby. And although many of her days are now spent focusing on her family, she still manages to teach yoga and coach clients on embracing a healthy lifestyle—from the inside out. "I think the most important thing to remember is that what you put in your body is just as important as what you put on your body," explains Wood-Tepperberg. "Having a really clean diet rich in fruits and vegetables will help your skin shine from within." "I've started to notice fine lines that weren't there before," Wood-Tepperberg explained as she perused the store's skincare section. This is what made Kate Somerville Wrinkle Warrior™ 2-in-1 Plumping Moisturizer + Serum ($95) so appealing. It visibly firms and targets three types of wrinkles: crow's feet, fine lines, and deep wrinkles. What's more, the lightweight formula locks in moisture with three types of hyaluronic acid. Bonus: Add one pump to your foundation and mix before application for a serious lit-from-within glow. Wood-Tepperberg's search for moisturizing products also ended on a high note. 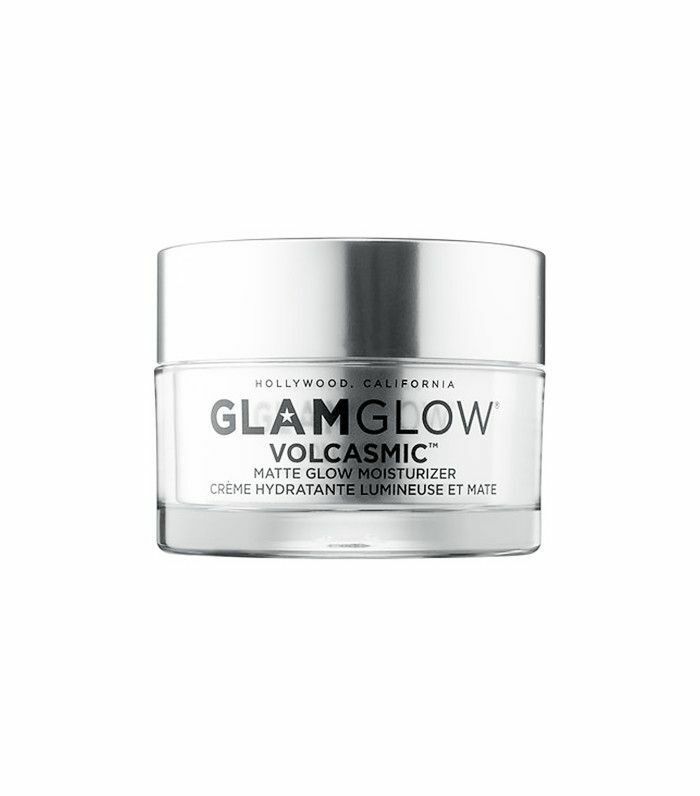 She came across the GLAMGLOW VOLCASMIC Matte Glow Moisturizer ($54) and was basically sold on its name. The product is formulated with volcanic minerals that help absorb oil and deliver a matte glow. The lightweight moisturizer also hydrates and smooths skin to provide an even canvas for flawless makeup application. "The best thing about this is that it moisturizes my skin while leaving it with a matte finish, so I don't need to worry about looking shiny or greasy," she notes. Happy with her finds, she bought her products and headed out—she had a baby to get home to, after all! How does your skincare routine in your 20s compare to your routine in your 30s? Tell us in the comments below, and don't forget to tune in this Saturday to @byrdiebeauty on Snapchat to watch another health and fitness pro take us along on her Sephora shopping spree! Is This Ancient Practice the Answer to Your Skin Woes?